Dry eyes sound like a temporary inconvenience easily remedied with over-the-counter eye drops, but in reality they cause significant discomfort and visual problems in an estimated 10-30% of adults. The doctors at Marina Del Rey Optometry have extensive experience diagnosing the underlying cause of dry eyes and developing a customized treatment plan to alleviate the problem. 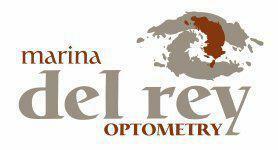 Call the office in Marina Del Rey, California, or schedule an appointment online to get an expert exam and dry eyes treatment. You develop dry eyes when the amount of tears or the quality of tears produced isn’t good enough to keep the surface of your eyes lubricated. Tears on the surface of your eye help focus light, so this lack of tears can affect your vision. Insufficient tears represent a significant health concern for your eyes. Your tears consist of fatty oils, mucus, and more than 1,500 proteins that protect your eyes from the environment, irritants, and infections. They also contain nutrients that keep your eyes healthy. What symptoms develop due to dry eyes? You’re more likely to develop dry eyes as you get older, but the condition can occur at any age. Tear production may decrease, tears may evaporate too quickly, or ingredients in your tears may become imbalanced so they don’t work properly. The optometrists at Marina Del Rey Optometry carefully evaluate your eyes, your medical history, and all of the potential factors in your life that may contribute to your dry eyes. It’s important to target all of the underlying causes and develop a treatment plan that addresses each issue. You may get symptom relief from artificial tears or you may need prescription medications that increase tear production or reduce inflammation. Your doctor at Marina Del Rey Optometry may insert punctal plugs into your tear ducts to partially or completely stop tears from draining out of your eyes. Punctal plugs may be made of a long-lasting material like silicone, or they can consist of collagen that’s gradually absorbed back into your body. Silicone plugs can be removed later if needed. In severe cases, your tear ducts may be permanently closed to preserve tears. A variety of simple lifestyle changes, like taking periodic breaks from screen time or protecting your eyes from wind, can help alleviate dry eyes.